The average cost of memory care in Seneca is $4,347 per month. This is lower than the national median of $4,650. Cheaper nearby regions include Anderson with an average starting cost of $3,142. To help you with your search, browse the 1 review below for memory care facilities in Seneca. On average, consumers rate memory care in Seneca 5.0 out of 5 stars. Caring.com has helped thousands of families find high-quality senior care. To speak with one of our Family Advisors about memory care options and costs in Seneca, call (855) 863-8283. Seneca, South Carolina, located in Oconee County has a population of 8,102. Over 1,500 of these residents are 65 or older, some of whom may be among the 89,000 residents of South Carolina who are living with Alzheimer’s disease or other dementias. This number is expected to grow by 35 percent by the year 2025, creating a significant need for more memory care facilities in the area. Four memory care facilities currently exist in Seneca, with three more facilities operating in the surrounding area. Referred to as Assisted Living Facilities (ALFs) and Community Residential Care Facilities (CRCFs) in South Carolina, memory care facilities are regulated by the Board of Health and Environmental Control, Division of Health Licensing. Seneca’s cost of living is relatively low, ranking 89.4 on a scale where 100 represents the U.S. national average. Lower than average grocery and transportation expenses may help seniors and their families' budget for the higher healthcare costs associated with the area. 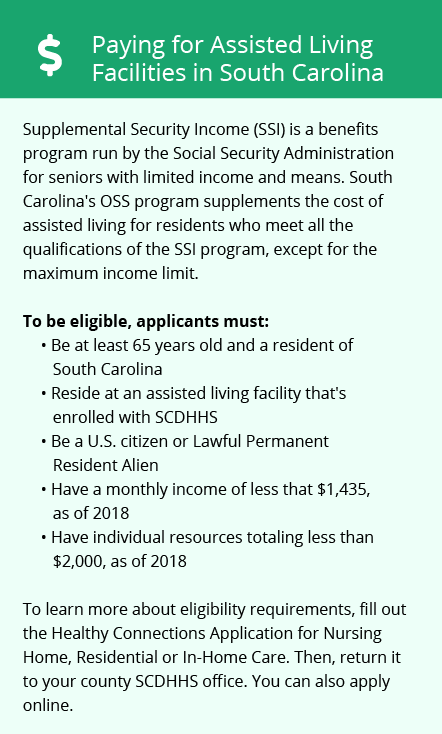 Taxes are not levied on social security benefits in tax-friendly South Carolina. Pensions and retirement savings account income are partially taxed, however. Lower tax rates could help put more money in the memory care budget for seniors and their families. Crime rates in Seneca rank 60.1 for violent crime and 49.8 for property crime, whereas the national averages for each are only 31.1 and 38.1 respectively. These higher crime rates might cause concern for families but asking facilities about safety protocols in place may help alleviate some of those fears. Residents of Seneca enjoy warm summers with highs reaching 90 degrees and comfortable winters with lows of 31. Although the area only gets three inches of snow annually, the yearly rainfall of 51 inches is significantly higher than the national average of 39 inches. Sperling’s Comfort Index gives the area a ranking of 76, making it the perfect locale for seniors with bone or joint pain. Memory Care costs in Seneca start around $4,347 per month on average, while the nationwide average cost of memory care is $4,799 per month. It’s important to note that memory care rates in Seneca and the surrounding suburbs can vary widely based on factors such as location, the level of care needed, apartment size and the types of amenities offered at each community. To see a list of free memory care resources in Seneca, please visit our Assisted Living in South Carolina page. 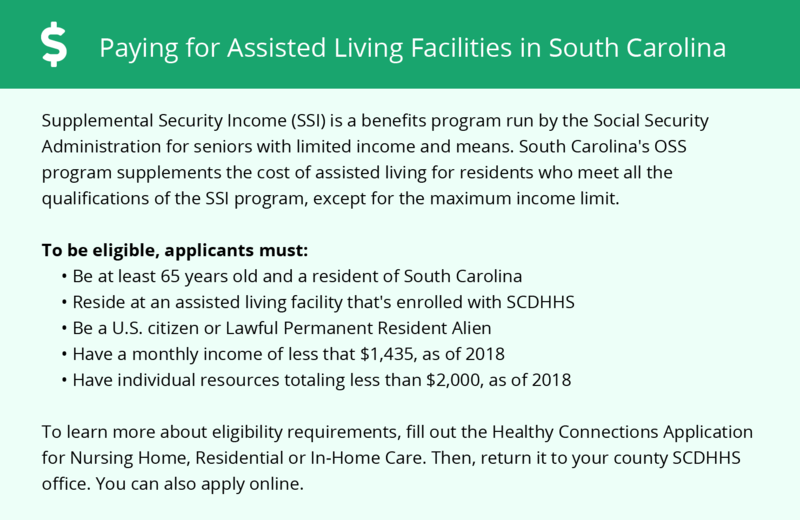 Seneca-area assisted living communities must adhere to the comprehensive set of state laws and regulations that all assisted living communities in South Carolina are required to follow. Visit our Memory Care in South Carolina page for more information about these laws.